Let’s chat about snacking, shall we? In particular, healthy snacking. 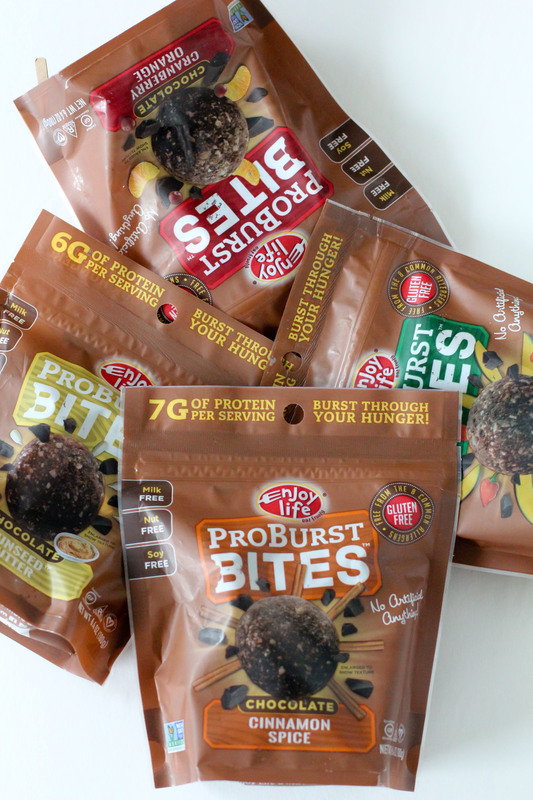 I’m super excited to share these ProBurst Bites from Enjoy Life Foods with you! Fortunately for you (unfortunately for me? ), I’m a snack expert. Snacking is nothing new to me, growing up I was always a snacker. I wasn’t big on meals but would much rather graze through the day just snacking and nibbling on whatever I could get my hands on. It drove my moms nuts. However, it wasn’t healthy snacks that I craved throughout the day. It was empty, sugary snacks that never seemed to fill me up. Doesn’t that get to the heart of the dark side of snacking? 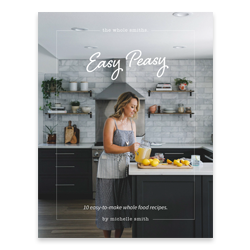 Grazing all day on foods that aren’t nutrient dense and leave you unsatisfied. And just for fun, are you curious to know what my old favorite snacks were? Fun fruits (basically gummy candies packaged as “fruit snacks”), SnackWells cookies, fat-free / sugar-free flavored yogurts and Otter Pops. That doesn’t always need to be the case however. 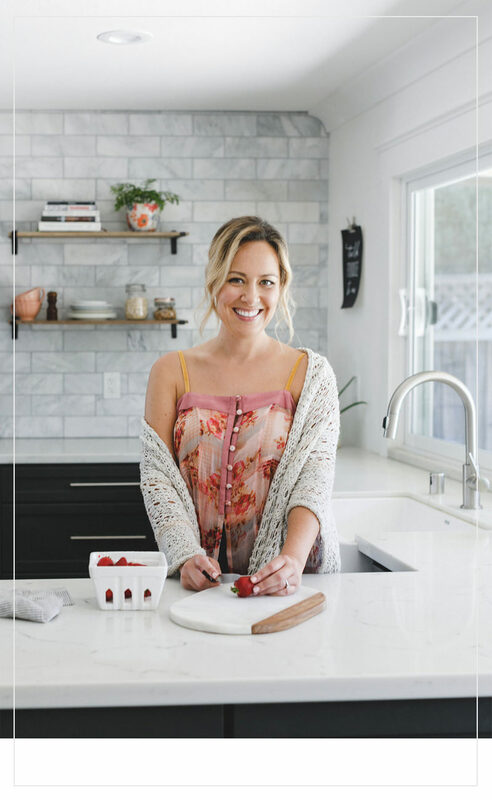 Snacking can be a great thing in the middle of the day when you’re needing some extra fuel, it all depends on WHAT you’re snacking on. Can you see why I was always left waiting for my next snack!? The items listed above had no nutrients to fill me up. There was no protein, no fats, no nothing. But sugar. Now when snacking I make sure my snacks have actually nutritional value and something to fill me up and fuel me properly… like protein and fat. 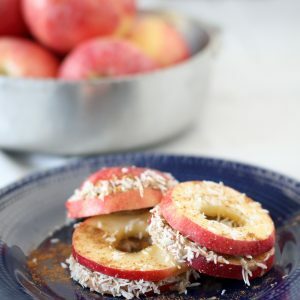 Even if I’m snacking on fruit, I add some nut butter or coconut to it so I’m not left hungry 30 minutes later. Which brings me to these ProBurst Bites from Enjoy Life. 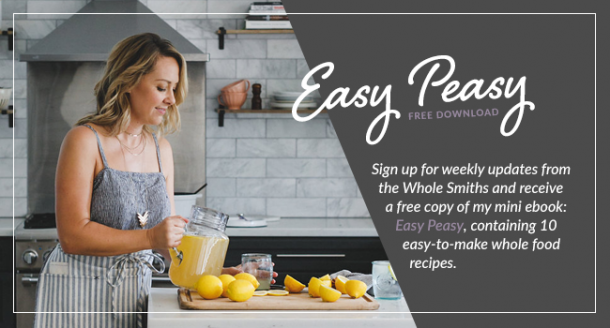 As you may know, we love Enjoy Life products over here at the Whole Smiths. 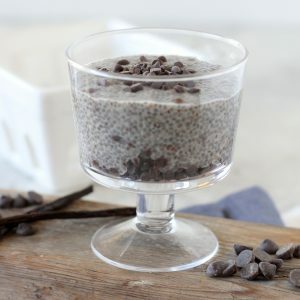 As evidenced in my Chocolate Chip Chia Pudding that we make often. 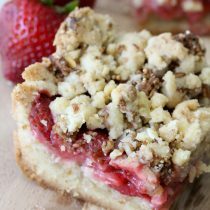 In particular, they are especially great for the kiddos as all of Enjoy Life’s products are free from the top 8 allergens. Which means they can actually take them to school for snacks! My kids don’t have allergies fortunately but many of their classmates DO. Which means we need to be extra cautious with what I pack in their lunches and snacks. And I have to say following a whole foods / paleo diet AND finding nut free products that the kids like is no easy feat. So when Enjoy Life came out with their ProBurst Bites that also contain protein AND healthy fats I was so excited. 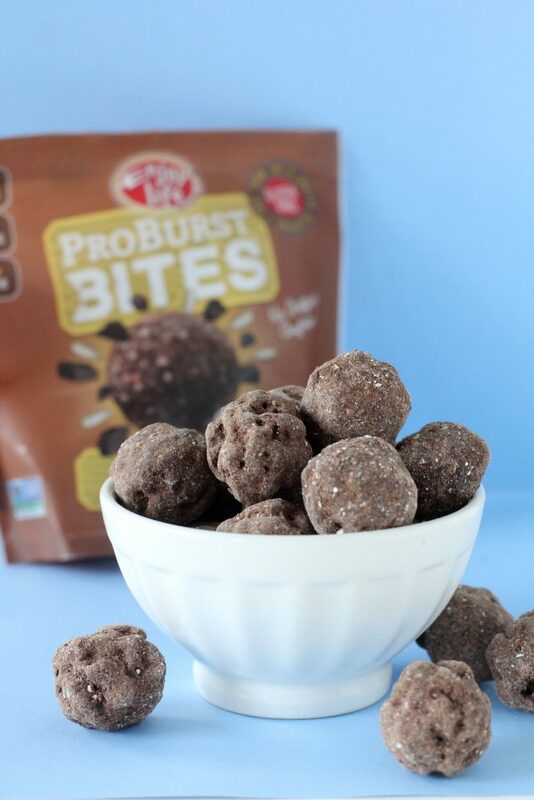 ProBurst Bites come in 4 different varieties and each serving contains 6-7 grams of plant based protein, are verified Non-GMO and have a clean ingredient list. Do you guys know how refreshing it is to be able to buy a healthy snack already packaged up for the kids that they can actually take to school? That fills them up? It’s a busy moms sigh of relief I tell ya. 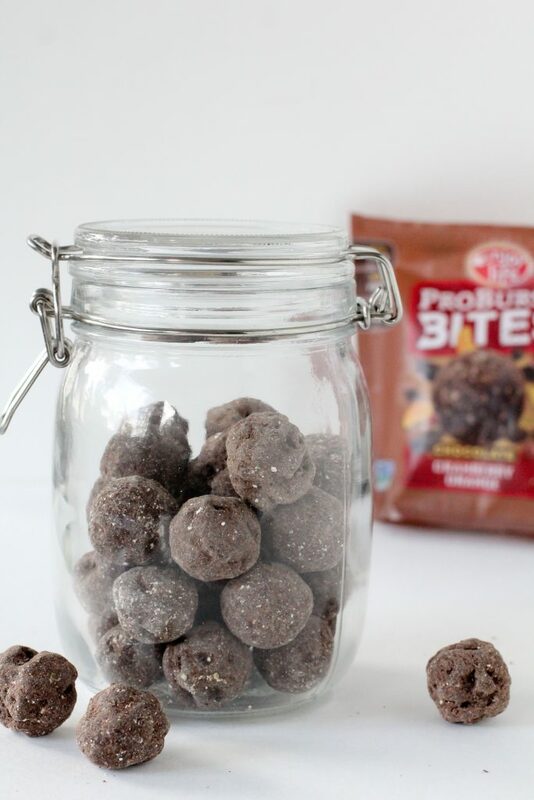 And check it out, not only do they come in portable pouches for on-the-go snacking but I added them into a mason jar I keep on the counter so the kids can easily grab one (or two or three) when they need a quick snack. 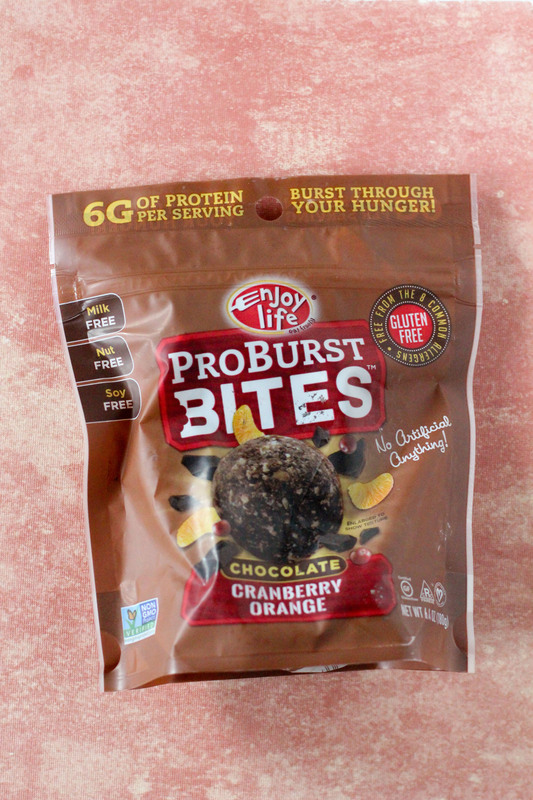 You can find these Enjoy Life ProBurst Bites right now on online at Enjoy Life or you can start looking for them at local retailers starting March 1st. AND you can enter the code PROBURST478 at checkout to save 10% on your order. But do it now because that offer expires March 31st, 1017. This is so exciting! I LOVE Enjoy Life chocolate and brownie/pancake mixes. I can’t wait to get my hands on these too!